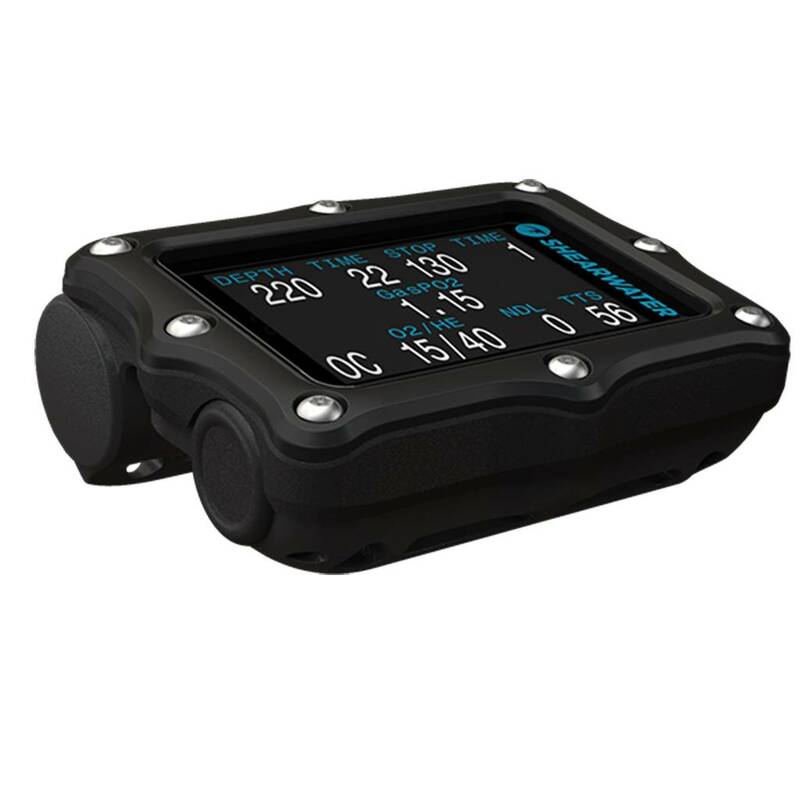 Featuring a powerful feature set, with easy-to-read menus and a full colour display, the Perdix AI dive computer is a capable and dynamic piece of equipment. The Perdix AI supports optional wireless transmitters to display cylinder pressure. The Perdix, with AI (Air Integrated) has a radio frequency receiver built-in to the electronics. 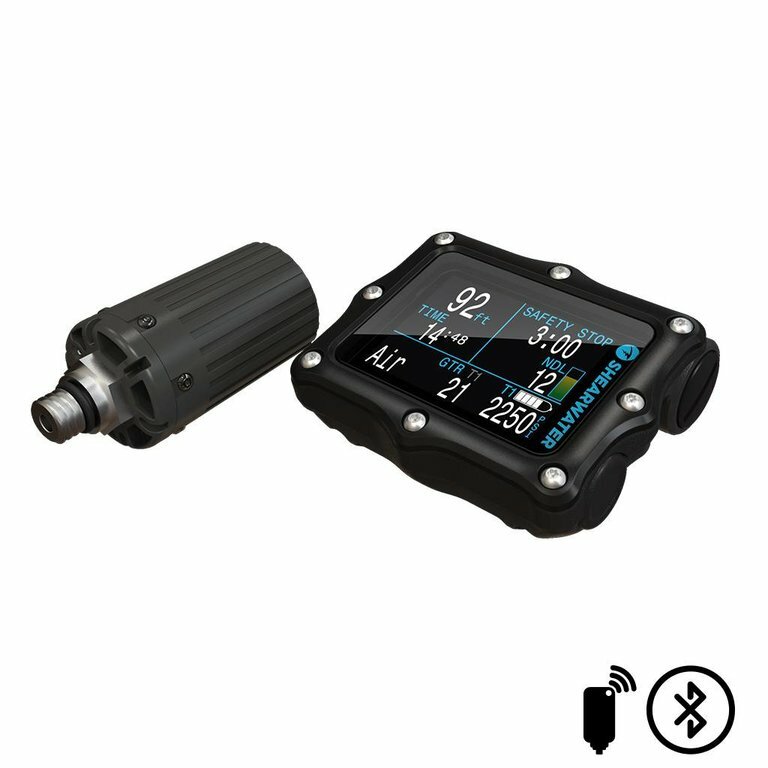 By wirelessly connecting to either one or two option transmitters, the Perdix AI gives the diver the ability to monitor two tank pressures, as well as allows for sidemount diving. The Perdix AI is also capable of measuring the Gas Time Remaining (GTR) on one assigned tank. All modes, including OC Rec and CC/BO are air integration compatible. Tank pressure can be displayed in PSI or BAR and the GTR can appear in one of many customizable slots on the main display menu or accessed through underlying information screens. The AI feature decreases approximately 10% of battery life. The base price does not include a tank pressure transmitter, because the consumer may already own a compatible transmitter. Will my existing transmitter work with the Shearwater AI computer? Shearwater Research of Canada says that transmitters marked with “FCC ID MH8A” on the body, regardless of the brand, will work with the Perdix AI as well as the NERD 2 model air integrated dive computers. No other Shearwater dive computer model, such as the Perdix without the “AI” and the original NERD computer, support integration with a transmitter. 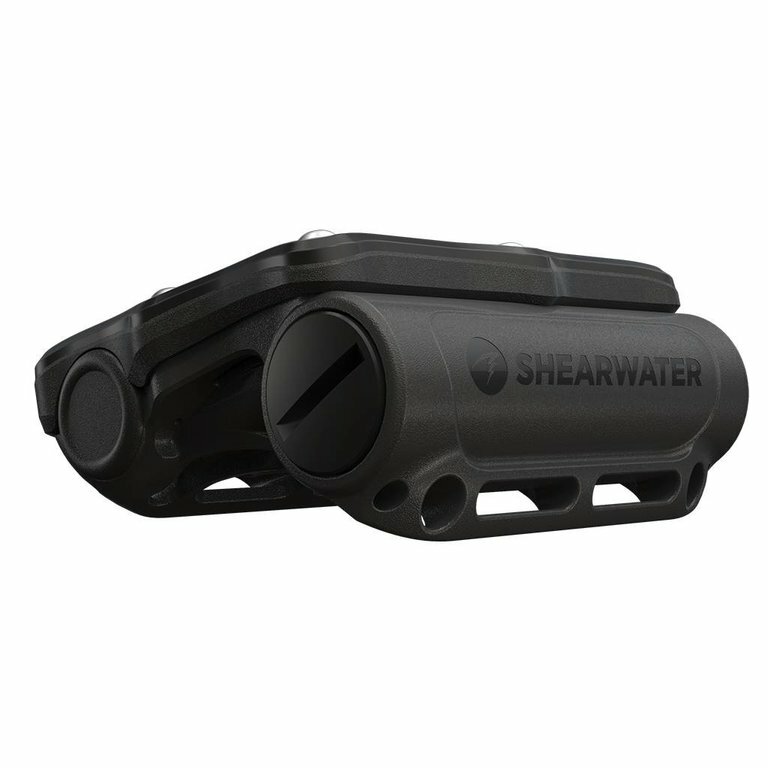 Shearwater’s first stage regulator tank-pressure wireless transmitter is manufactured by Pelagic Pressure Systems. Supplying the same OEM transmitters for years, Pelagic also works with Aqua Lung, Aeris, Hollis and Oceanic. The best screen and dive computer interface on the market. By offering an information screen using a large, full-colour LED LCD display, the Perdix will automatically adjust intensity based on available light. 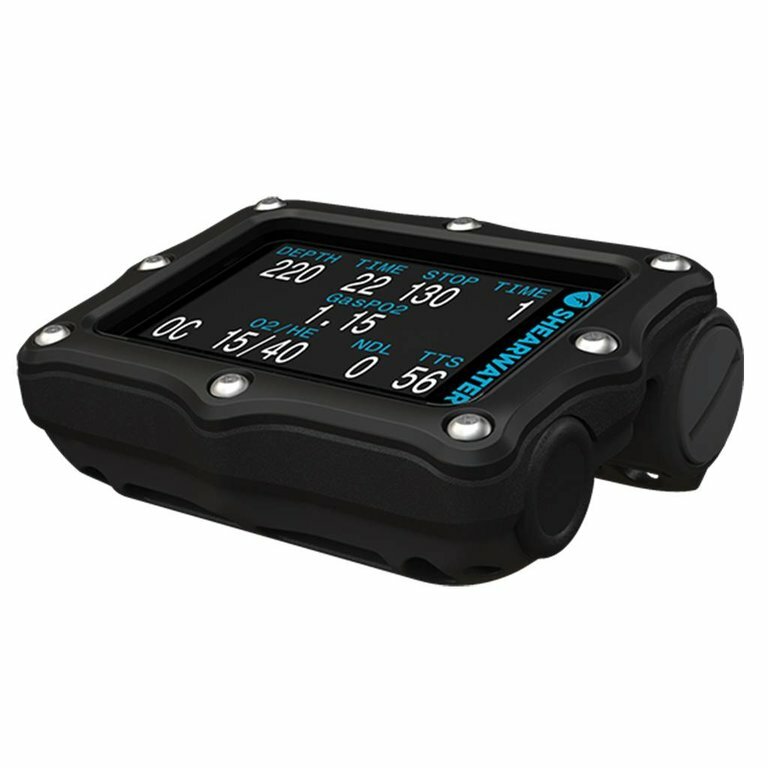 This feature allows the diver to see the display and make important information easily readable whether on the surface, in open water, or in a cave. 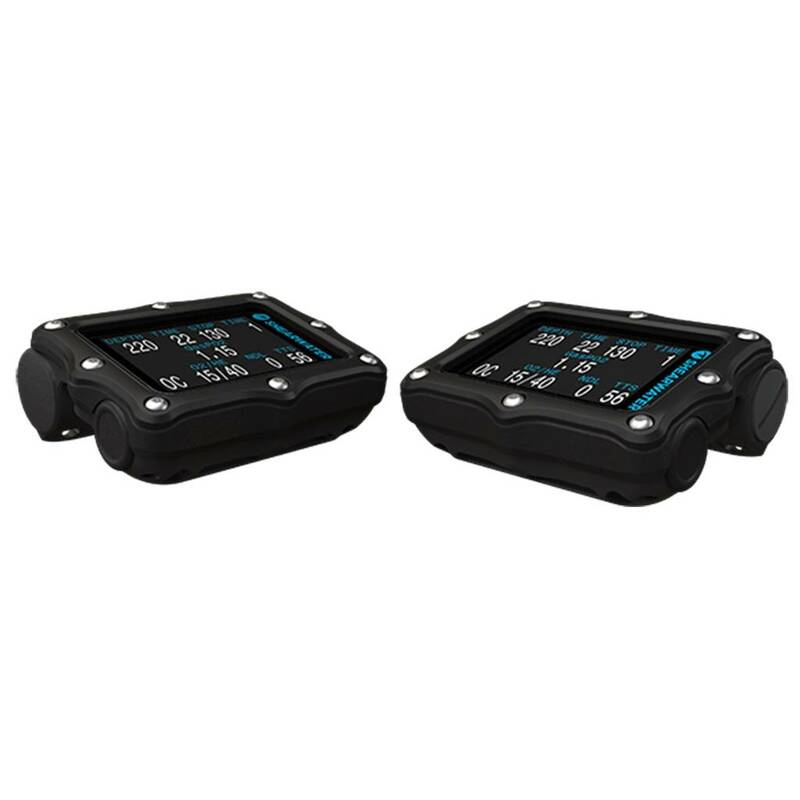 The Perdix provides complete information displays during decompression dives at all required stop times, as well as provides time-to-surface based on “look ahead” at planned gas switches. Any combination of oxygen, nitrogen and helium are supported by the multiple gas definition presets. Most importantly, the Perdix will not “lock-out” after a missed stop or an ascent rate violation. The Perdix dive computer is optimal for safety. Further, the diver can simply select one of three levels of NDL conservatism. During the dive, a bar graph turns from green to red as the diver approaches their designated NDL. The optional 3-5 minute countdown safety stop begins when the diver reaches a depth shallower than 20 feet/6 metres on the ascent. If the diver happens to exceed the NDL and requires stops, the large display turns red and flashes “DECO STOP” with the mandatory depth and stop times. After a dive, the Perdix will communicate via next-generation Bluetooth technology with iOS devices such as the iPhone and the iPad. Beyond the current Shearwater and third party support for Mac and PC desktop applications, user are now able to download dives using their iOS devices in conjunction with third party applications. Shearwater’s software includes a complete dive log manager which is compatible with MS Windows and MAC OS X. The dive log manager supports downloads and firmware updated via the wireless Bluetooth interface of the Perdix AI. The Perdix AI features a powerful three-axis tilt-compensated digital compass for maximum navigation possibility and for total security. The compass is available in every mode, and conveniently appears at the bottom of the full-colour display screen for continued computer use. Unlike the other menu options, the compass does not timeout after 10 seconds. It stays until it is switched off by the diver for maximum comfort. With quick and fluid motions, the compass is also the ideal replacement for any analog compass, since it works just as well. It truly is the only digital compass that really works. Tilt-compensation on digital compasses from Shearwater is incredibly reliable. Unlike analog compasses, if the computer is tilted, the compass works just the same. 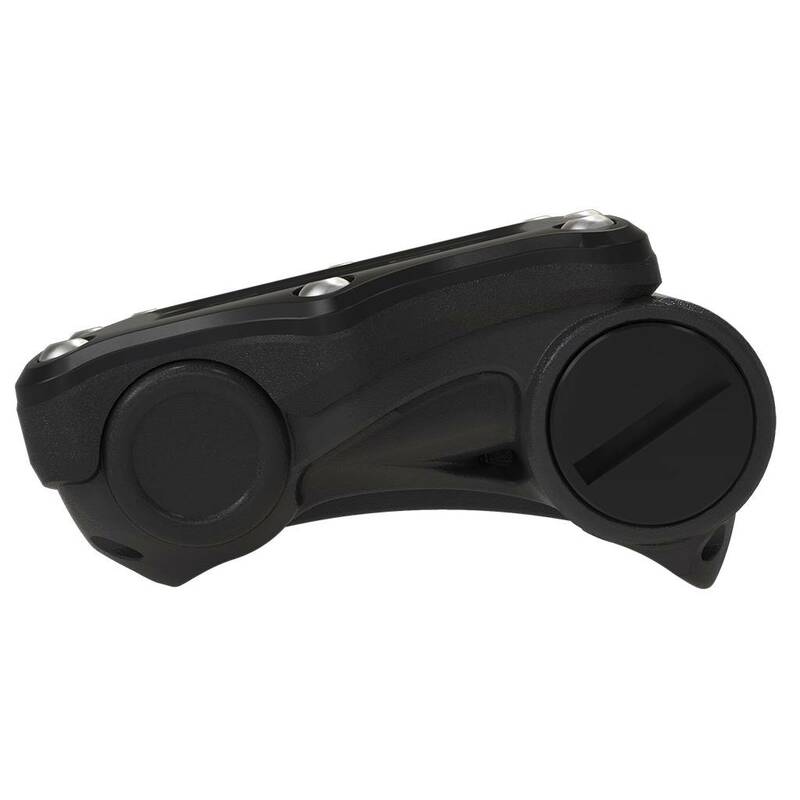 By being able to tilt the compass and continue navigating, this feature is essential to any diver. This digital compass only needs to be calibrated once: when the battery is changed. Shearwater’s user-friendly digital compass makes diving and navigating easy and entirely uncomplicated. Designed to accept any type of AA battery, including alkaline, lithium and rechargeable, the Perdix is always compatible with your next adventure. 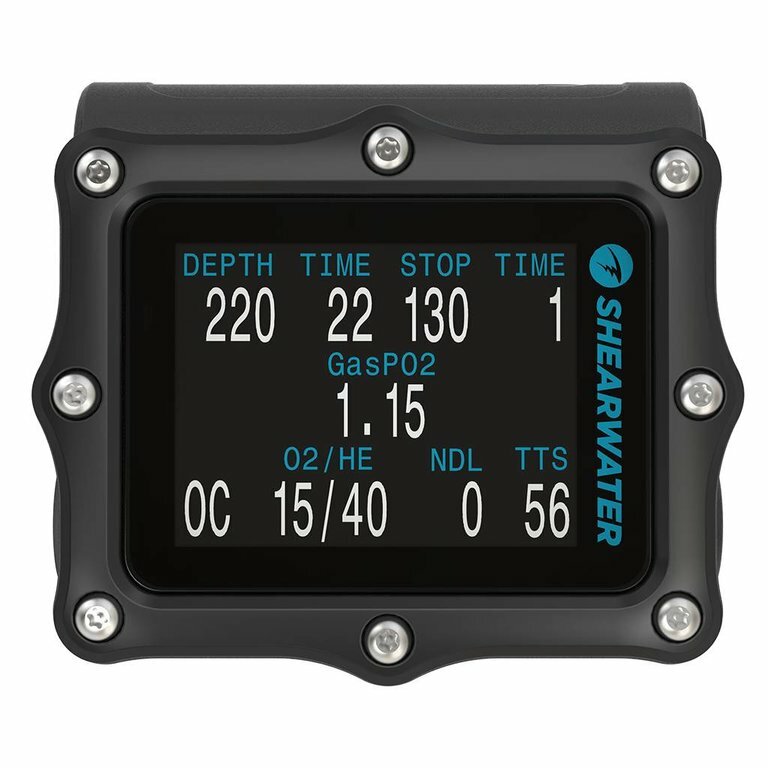 Shearwater has created the ultimate solution for a problem that every diver faces at least once, if not more, in their careers. Dead batteries in the middle of a vacation can destroy your trip if the battery you need is extremely difficult to find, or if only the manufacturer can change it. The Perdix AI takes every kind of AA size battery. The standard 1.5V alkaline battery, which can be found all around the world, works the best. With numerous kinds of AA batteries, there are important details on each type which makes your decision for your Perdix AI dive computer easier. Alkaline batteries, such as the Duracell, work best with the computer and is recommended by Shearwater because of its availability, inexpensive price and its long duration of diving (approximately 45 hours. Alkaline batteries are prone to leakage when completely discharged. Do not store with discharged alkaline battery installed. The Saft 3.6V LS14500 battery, used by the Shearwater Predator, has a long life (130 hours on medium brightness). However, the Saft is more difficult to find. The best choice for cold water divers is the Photo Lithium 1.5V, They are more expensive, but they run longer in temperatures colder than 8 degrees Celsius (46 degrees Fahrenheit). Every Perdix AI from Total Diving are ready to dive straight out of the box. includes two elastic straps with buckles, possible bungee-style wrist mount configuration, zippered hard case, dual o-ring seal gold contact battery door, two spare battery door orings, USB Bluetooth adapter, a Quick Start Guide with instructions for downloading the full manual and desktop software. The pre-installed screen protector on every Perdix AI will prevent scratches on the display face.